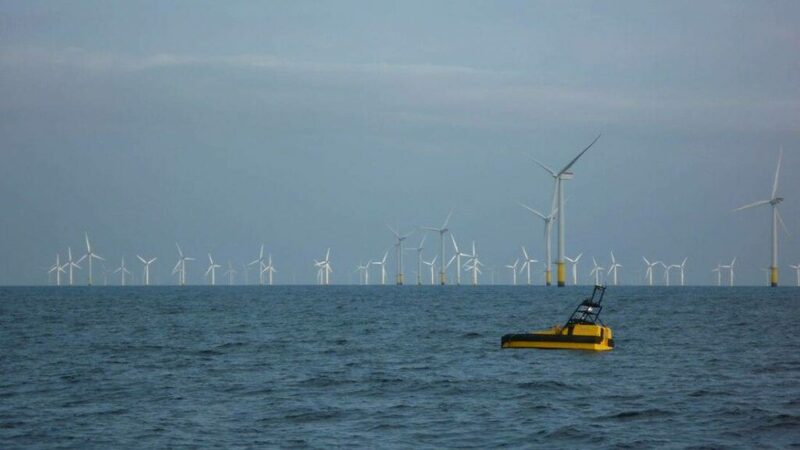 ASV Global, a developer of autonomous surface vehicles, has released the following article highlighting the advantages of using ASVs for offshore wind farm support. ASVs are having an increasing impact in a growing number of operations across defence, science and offshore energy applications. The latter has seen ASV technology applied to oil & gas operations but less explored in the offshore wind industry, which holds immense potential. Fitting an ASV with a multibeam echosounder (MBES) payload gives it the ability to carry out the necessary bathymetric surveys traditionally carried out by a conventional ship. MBES maps the seabed to uncover the depth and profile of the area; information that is crucial in determining how a wind farm is mapped and constructed. Once the farm is operational, MBES survey can also be used to monitor the sea bed levels around turbines. Dramatic changes in seabed level around the foundations can affect the stability of wind turbines, resulting in them becoming unsafe. Using a smaller vehicle that operates with no personnel on board to carry out MBES survey brings many benefits to these wind farm support activities. Using an ASV to support wind farm construction and maintenance tasks can provide superior operational effectiveness. Firstly, a small and agile ASV can get much closer to wind turbines, allowing for a survey dataset with more complete special coverage to be collected. A purpose-built ASV is also an extremely quiet platform which in turn aids the production of clean data. For example, ASV’s C-Enduro has a hydrodynamically efficient catamaran hull that creates minimal turbulence and ambient noise, making it well suited to acoustic monitoring and communications applications. Furthermore, an ASV’s low center of gravity makes it more resilient to rolling in high seas than a large survey vessel, increasing the range of metocean conditions in which effective surveys can be carried out. ASV’s C-Worker 5 is the ideal platform to support hydrographic survey work. Designed as a force multiplier to enable increased survey coverage and minimized weather risk through reduced survey duration. Lastly, the reduced length of the ASV and the reinforced MBES mounting frame increase torsional rigidity compared with larger survey vessels resulting in cleaner data that requires less post processing. ASVs are much smaller than conventional survey ships, meaning that they are much cheaper to run in terms of fuel. ASV’s C-Enduro uses a “three-pillar” energy system consisting of solar panels, a wind generator, and a lightweight diesel generator that provides a flexible and fault-tolerant energy supply. This unique, environmentally friendly energy system gives endurance in excess of 30 days. C-Worker 5 is designed for up to 7 days endurance at survey speeds of up to 7 knots, minimising launch and recovery operations and increasing survey efficiency as demonstrated in multiple offshore survey operations including off the coast of Alaska with TerraSond. Large survey ships often require a crew who then require heating, lighting and provisions – increasing the financial strain. Using an ASV alleviates the need for a large sea-based crew and instead requires only a small number of staff to monitor the vehicles progress. Most importantly, taking people out of the field and placing them onshore removes the associated health and safety risks that come with having people at sea. Overall, using an ASV to support offshore wind farm development and maintenance not only improves operational and cost efficiency, but also reduces health and safety risks. ASV Global is participating in Global Offshore Wind 2018 in Manchester, UK, exhibiting with ORE Catapult. The event will showcase ASV’s £900k joint industry project: Windfarm Autonomous Ship Project (WASP), which will work to explore the technical, regulatory and societal issues of using Autonomous Surface Vessels (ASVs), integrated with existing manned shipping operations, to support offshore wind farm operations and maintenance.